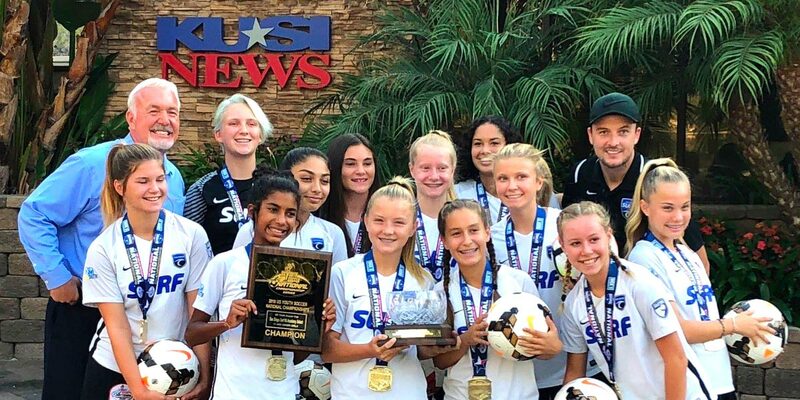 Surf SC latest National Champions were on @kusinews yesterday. @kusisports did a special feature! KUSI kicking it with the national champion SD Surf!